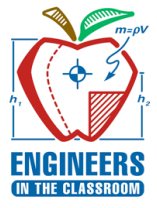 As the academic year gets underway, SHPE LM Aero is seeking volunteers to assist with STEM activities or professional speakers at Trimble Tech, Trinity, and Northside on the scheduled mentoring meeting dates. The activity materials and speaking topics will be provided. All that is required is to go to the school and be willing to interact and engage with the students. Please contact the SHPE Jr. Lead for more information and how to sign-up!